Cheap flights. Where are they?? 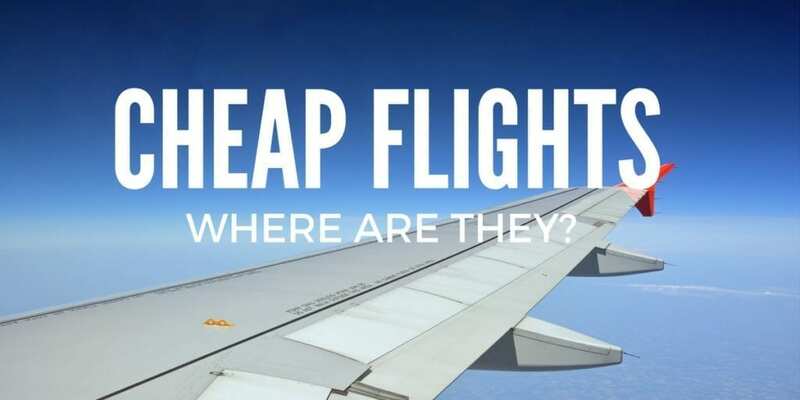 Here are some of my tips to find cheap flights and travel more spending less. Whether you are a constant traveler or an occasional vacationer you know that a considerable part of your expenses will be the airline ticket. So, finding great airline deals become crucial if you want to save some money on your next trip. And who doesn’t? People constantly ask me how to find cheap flights and which airfare search engines I use when I book my trips. So I decided to make this post with some tips that I’ve been using for a while and that work pretty well. Definitely the best advice that I can give to you is BUY YOUR TICKET IN ADVANCE ! Airline companies use Revenue Management System in order to maximize their profits and also to succeed, grow and survive in the aviation market. Among all the topics included in Revenue Management that I studied in school during my Travel, Tourism and Hospitality Management course, the most important for us as customers are passenger demand, pricing and seat inventory control. Summarizing those three topics, all airlines use for every single flight different prices for any given seat and those prices change according to date and demand. 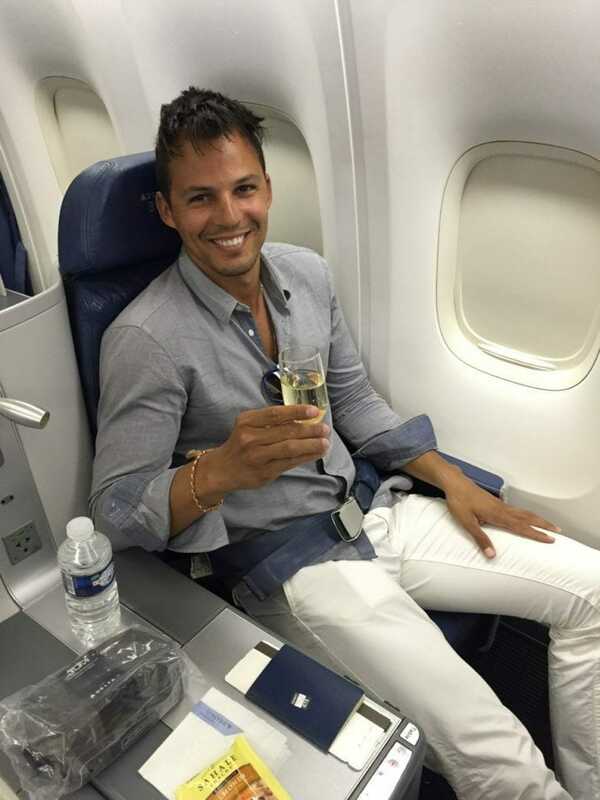 You can be on a flight and have paid US$200 for the ticket while the person seated beside you paid US$ 500. It happens all the time. The best airline deals that I have found are between three to four months in advance. At that time the airlines still have a lot of seats available and prices are increased slowly. The worst deals are from two months to last minute tickets. Many people say that you can find last minute deals for incredible prices but I personally don’t believe in it and I have never found one. One of the techniques that I’ve been using to find cheap fligths is a silly trick but that works very well. When I search for tickets, I never put exactly the day that I’m flying. I always put the day before or after and check the option “Flexible dates”. 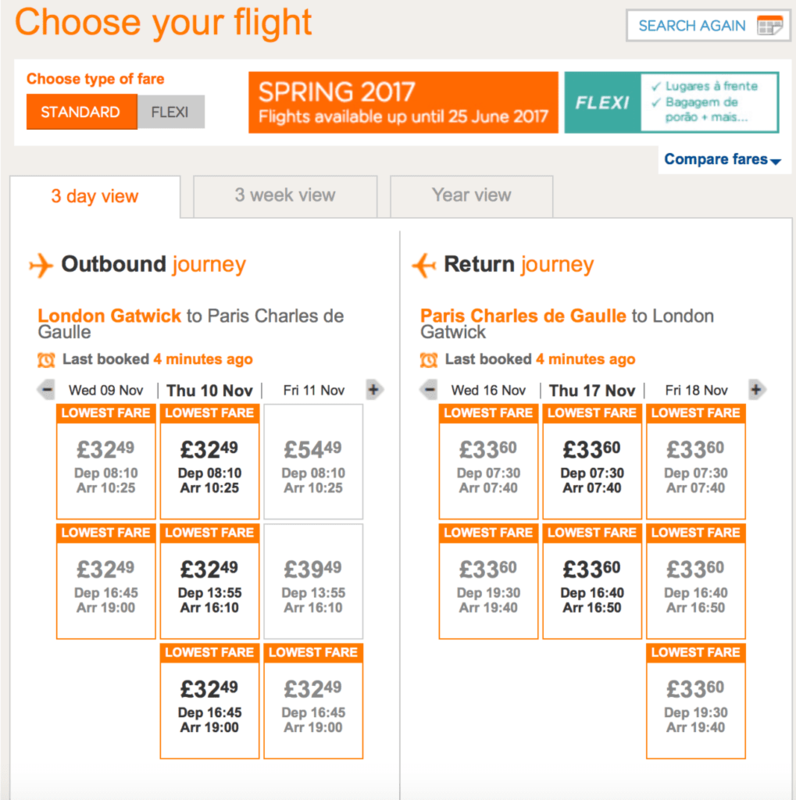 With this option I’m able to see not only a range of prices, but also tricking the airline’s website. Let me explain how. If you search exactly the day you’re traveling twice or three times before you buy the ticket (which most people do), the airline might assume that many people want to travel that day and raise the price (demand x supply). So the day that you really want to travel might stay the same. Got it? It has happened with me before I started using this technique and I had to change my travel plans in order to get the best fare. Lesson learned! Another important thing to take into consideration is using a VPN (Virtual Presence Network) to change your IP. But this is applicable only if you want to book domestic flights from outside the country. What happens is that many airlines attempt to make the most profit charging different prices based on where the transaction is completed (point-of-sale). For example buying a domestic ticket in Brazil might be cheaper making the reservation in Brazil than in the US. So when you use a VPN you can pretend that you’re someone else and hide your location. Give it a try and check if you see some difference. Be smart and never put the exactly date you wanna travel. Being flexible with dates is one of the best ways to find cheap flights! Many airline companies and websites offer the option “Flexible dates” where you can compare the prices for three consecutive days, a week or even a month. 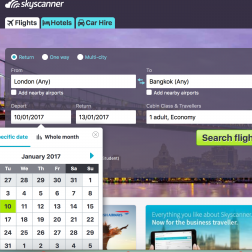 Skyscanner for example offers the option “Whole month” and also “Cheapest month”, so you can compare the prices for every month of the year. 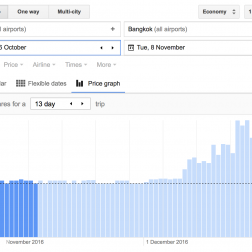 Google flights offers “Price graph” where you can compare prices using a chart. The app Hopper also offers those options and shows the average prices for nonstop and connected flights. 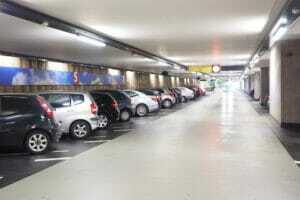 The day of the week and the time you’re flying also contributes to the fare. Monday, Tuesday, Wednesday and Saturday seems to be the best days to fly with less passengers and lower fares. Also overnight, early morning and long layover flights tend to be less expensive. If you’re on vacation and don’t know which day/time you’re flying, you should definitely plan your trip according to the prices you find. Choose the option “Whole Month” if you have flexible dates. 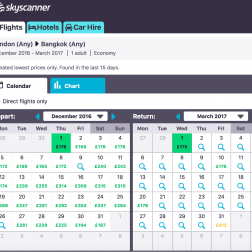 Chart with the prices on a month basis Skyscanner. Using a meta search engine is still the ultimate, easy and quick way to find cheap flights. Skyscanner is so far my favorite one. The website is easy to navigate, able to find great deals and also budget airlines, which doesn’t happen with Kayak for example. However, I recommend checking all of them because you never know which one may have the best offer. I believe you already noticed that when you open a website to search for airline deals, your prior search is still there. It happens because your information is saved on your browser. Many airlines and travel websites track how many times you’ve visited their pages. In doing so, they provide different offers and prices because they assume that you really want these fares and might be willing to pay a little bit more for them. Besides that, there is again the price changing based on demand x supply. To make sure you’re getting the best airline deals, be sure to clear your browser’s cookies and caches, because this will make it appear as if it were your first time visiting these sites and you’re likely to see much better prices. If you don’t know how to clear your cache or just want a simpler option, go incognito with Google. 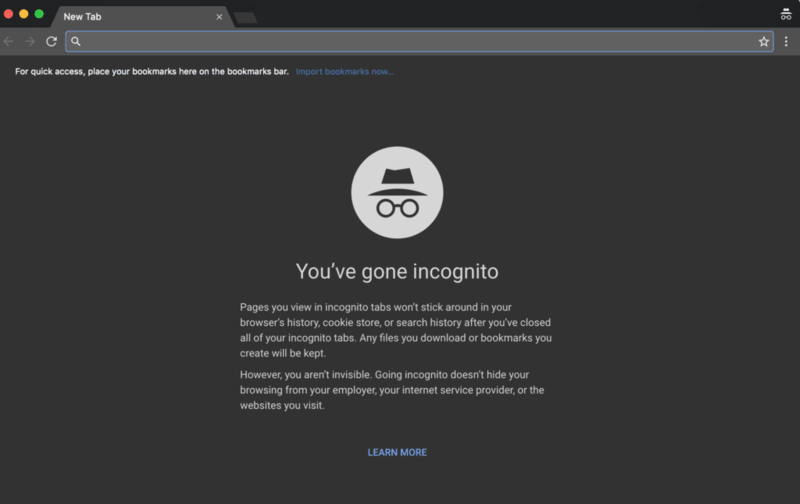 Open Google Chrome, go to File, then New Incognito Window, and your browser will not save your information. This option is also better to avoid losing details saved in your browser such as logins and passwords. The best airline deals are often available on the airline’s own website, so signing up for newsletters is a great way to be informed about their special offers. What I recommend is to subscribe for the companies that you fly more often to avoid overrunning your inbox. Many airlines have promotions periodically and some of the best deals are after summer and Christmas since many people don’t have money left for traveling, and also on Black Friday. Thank God for the Budget Airlines! With them, the dream of travel more and spend less is possible. I’ve found incredible cheap flights with budget carriers that you won’t believe, such as € 0,02 round trip from Valencia to Madrid. If nowadays you can’t find good prices such as this one, budget airlines are a reality in many places, especially in Europe where the competition is high and there are many small airports. Some of the most popular low-cost airlines are: RyanAir, EasyJet, Norwegian Arlines, Spirit Airlines, JetBlue, SouthWest Airlines, and AirAsia. There is an amazing list on Wikipedia with low-cost carriers organized by home country. RyanAir is probable the most famous low-cost carrier in the world. How many of you found a great deal, didn’t buy the ticket and when you went back to the site the price went up? What a terrible feeling! It’s like wasting money. It just happened with me last week. In less than 30min the ticket went up £130. INSANE !! I got so mad that I decided not to fly with that company any more. So let me tell you one simple thing: when you find an excellent deal, PLEASE BUY IT ! Buy it right away! No more searches, overthinking and procrastination. Buy it! Prices never go down and you will only regret it if you don’t. These are just some of the resources and tactics that I use to find cheap flights around the world. I recently found flights from London to Bangkok for only 307 pounds using these techniques. That’s incredible! Booking in advance and being flexible with dates combined with researching will always guarantee some extra money in your pocket. Have a safe flight and keep traveling folks. Great info… lots of tips to try when booking my next flight… thanks!!! Thank you for reading and commenting Kristin!! I just found more information here than Giordano’s class :). Very useful and helpful information. I really enjoyed your website (great pics, info). Btw I use the same strategy with the dates and it really works. Thanks for the tips Pericles. I’m glad you stopped by to check my work and write this comment. Yes, the dates really work. Great post! Highly agree about subscribing to newsletters. I snagged some awesome deals from checking out my local airline’s social media accounts too. Yes, me too. They all have good deals once in a while. Likewise Péricles! Looking forward to more of your adventures posts. 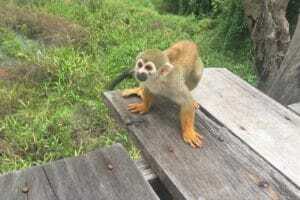 I’ve never been to Cambodia – yet! Those temples are really something, they’re magnificent! They are truly one of Asia’s must-sees. So many practical and useful tips! Does it matter what time of the day I choose flights?